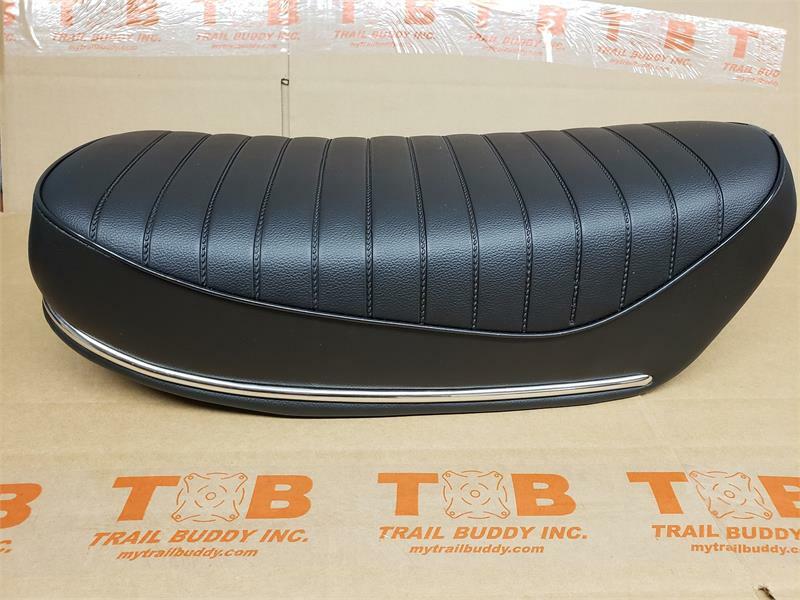 This is a brand new replacement seat for the classic trail 70. This is a complete seat assembly. The seat is made from a good thick vinyl to stand up to long use. The seat will only fit the classic mini trail-70 bikes not the clone bikes! 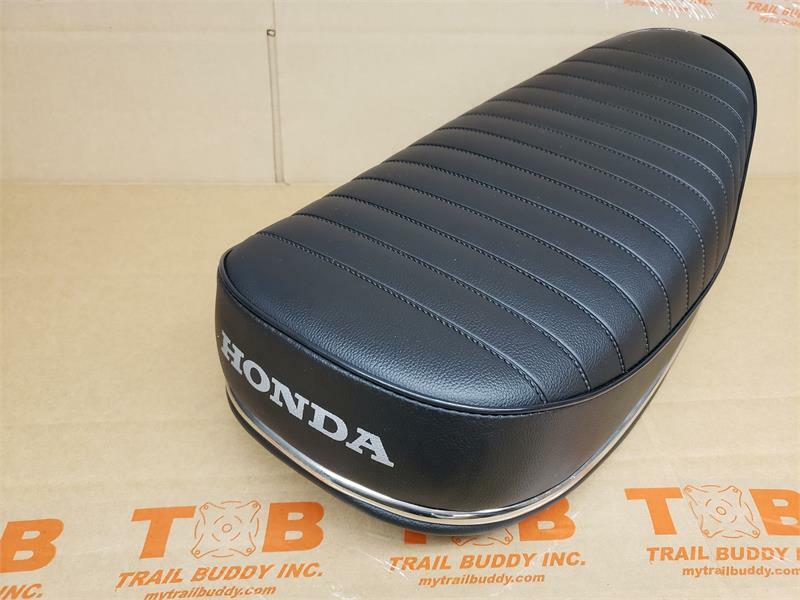 The "Honda" logo on the back of the seat is in white dye. Has the chrome strip on the bottom of the seat. Designed for the 1974 (K3), 1975(K4) and 1976 model year but will fit on any CT70 model year. 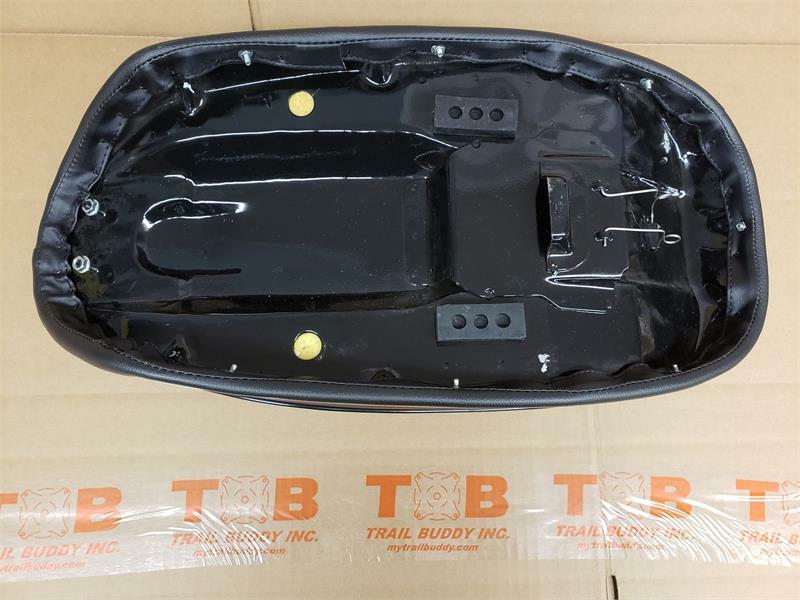 You will need to use your original seat hinge or the replacement one from Honda which you can find here: http://mytrailbuddystore.com/ct70seatbrackethinge.aspx . Please read the description for bolt/mounting hardware information. 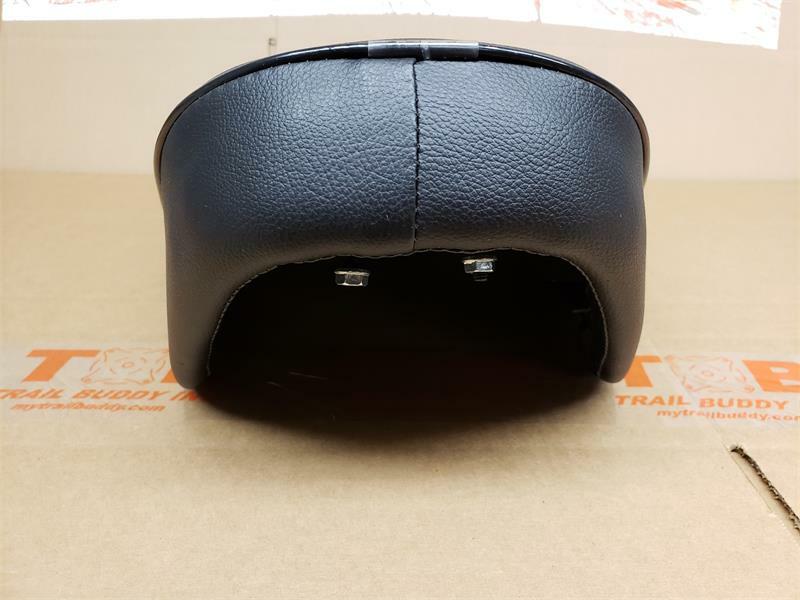 You will NOT need the TB001B for this seat assembly. CT70 Seat bracket/Hinge B for the front of the seat. Will fit CT70 1970-1994. The main seat hinge pin is discontinued from Honda- we recommend reusing your original pin. You will also need a 6mm hex nut and 6mm flat washer. It is #4 in diagram.